The words you need to communicate with confidence. 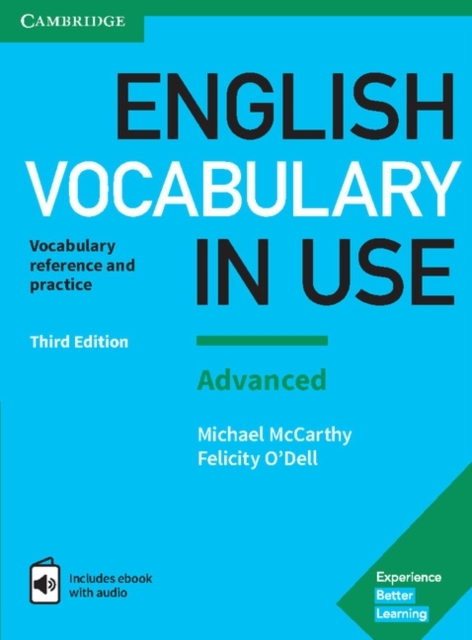 Vocabulary explanations and practice for advanced level (C1 to C2) learners of English. Perfect for both self-study and classroom activities. Quickly expand your vocabulary with over 100 units of easy to understand explanations and practice exercises. Also inside the book is a code for an ebook. This is the same as the printed book, but with audio so that you can listen to new words as well as reading them. The ebook is online for Windows and Mac users, and can also be downloaded to iPads and Android tablets.